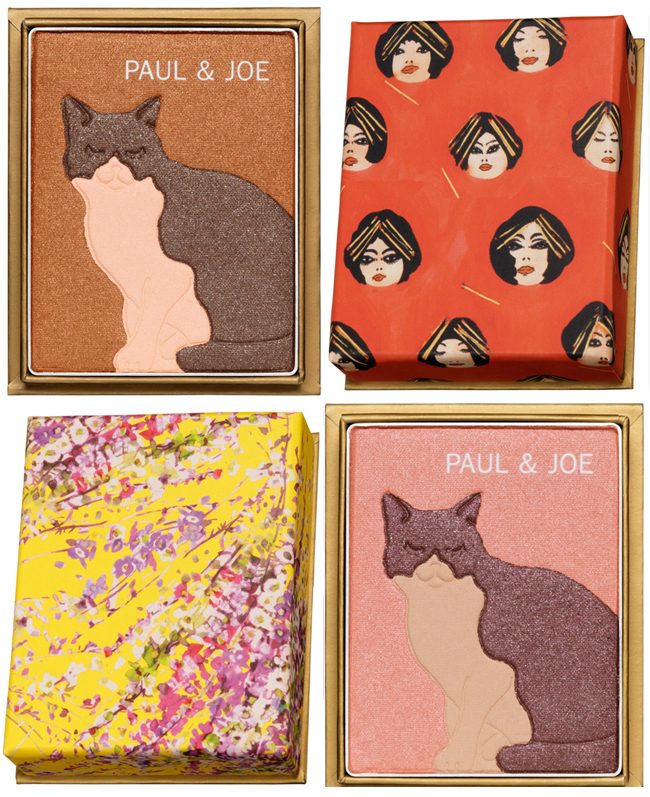 Lily Loves: Paul & Joe cosmetics . . . These blush sticks from Paul & Joe's 2012 Spring Collection are quite simply too perfect to ever even consider using - yet I want to own them all! 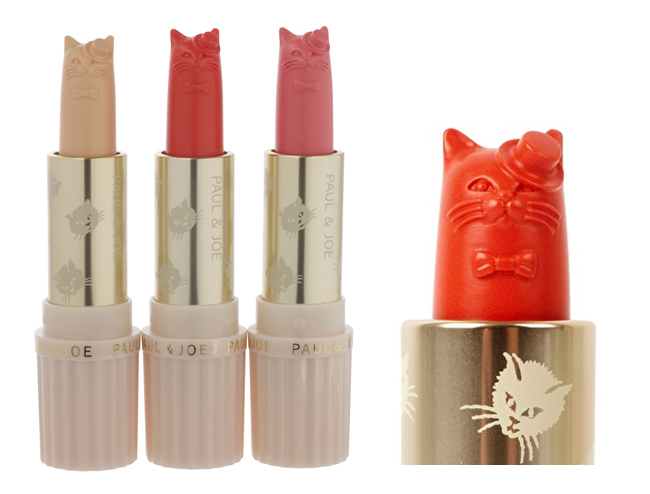 Inspired by brand-owner Sophie Albou's love of cats, the products feature cute little top-hat-wearing cat faces carved into the blush stick. One of these will set you back £21 (buy here) - a bit much for something I'd never use, but oh... they are so purr-fect! (Sorry, I couldn't resist the pun!) Also lovely are these face & eye combos (below) which feature tones suitable to contour, highlight and add a touch of colour to both the eyes and face. They come in beautiful card boxes that hark back to vintage powder-box designs featuring elegant patterns, and the make-up pan itself features another exquisitely pretty kitty in keeping with the feline theme . . .
For me, Paul & Joe is the perfect dressing-table brand. The products are always so thoughtfully presented and luxuriously packaged that I'd almost feel ashamed to spoil them by using them, but they would look so elegant decorating a dressing table. I have some of the limited edition Alice in Wonderland collection the brand did a couple of years ago - still boxed and un-used. It's nice to get it out and peek at it now and then and marvel at how special it is. I'm Claire, editor of LSi - the entertainment technology industry's leading magazine - and writer of short stories, flash fiction and non-fiction features. I am also a keen photographer and love the arts, history, travel and jewellery design. This site acts as a personal scrapbook of my work plus ideas and inspiration which I hope you will find enjoyable. 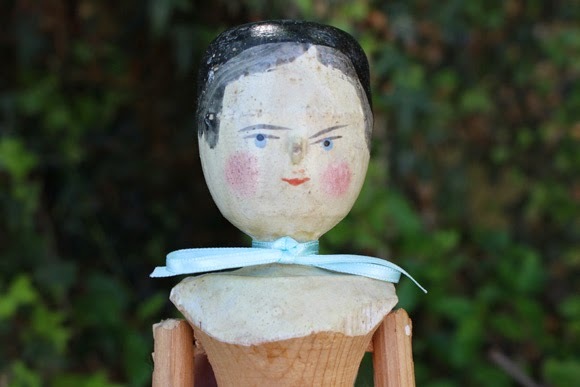 Learn with Lily: WW1 Sweetheart Pincushions . . .
Jewellery Collection: Storage . 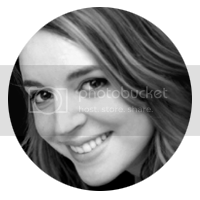 . .
Lily Loves: Bett Norris portraits . . .
Lily Loves: The Storybook Rabbit . . .